Like any other girl facing her quarter-life crisis, being overweight and out of shape makes things worse. My height was less than average and having the wrong body mass index while one is short in height makes one look even fatter. 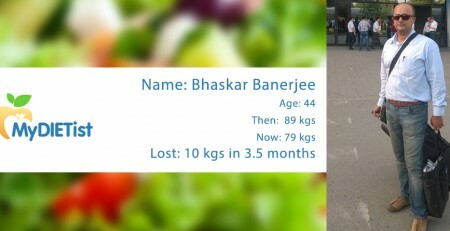 I had been overweight for most of my late teenage life and which was not a very big concern to me in the initial days however when days passed by and I as getting older this led to degraded quality of life I was living. There were many repercussions due me being overweight which includes body shaming, inefficiency at work and lack of social life. The age at which I should be at the peaks of my productivity I was struggling with all these things. I was not able to enjoy the food that I wanted to eat, not able to wear the clothes I wanted to wear because they did not fit me, I was not able to be with people I see myself with and in short was not able to live the life I was looking out for. Above all, I learned that I was suffering from polycystic ovary syndrome which was also a reason why I was not able to lose weight. Bearing the pressure of the quarter-life crises where I had to frame my career by proving myself at work and setting a base for my personal life by getting married all these tasks were put on a back foot and I decided that it is high time I need to sort my life and set a strong and healthy foundation which will support me through my life. 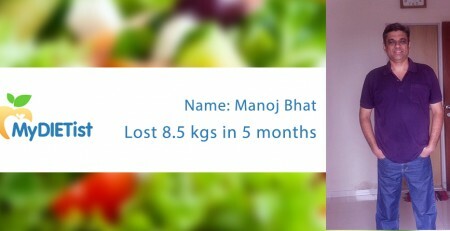 At first, I thought that being a foodie dieting would involve a lot of sacrifice from my end to the good tasting food and I will have to gulp all the healthy food which are not so tempting for my taste buds, will have to continuously kill my wishes and craving for tasty food. This would still be acceptable if it had to be done for a short period of time what did kill my motivation was that if I need to maintain a good health I will have to sacrifice tasty food for life. 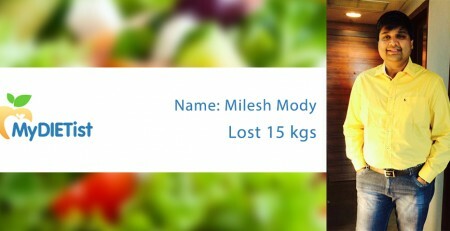 When I first stumbled upon the website mydietist.com I thought it was just another website which was offering diet plans but when I did learn more about it I found out things which were unique about it and the things which made me go for it is that they did claim that I can reduce my weight without compromising on the tasty food. While I did take up the plan I realized it was a lot more than just a basic chart that I needed to follow. 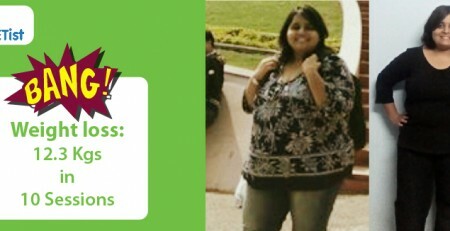 I got an inspiration and that kept me motivated to stick to follow the whole diet plan religiously. I was also given an exercise routine which would help reduce the fat from the right areas efficiently. The best part was when I started to see the results within few weeks of the practice. I now weigh 60 KG which is 12 KG less than how much I used to be. 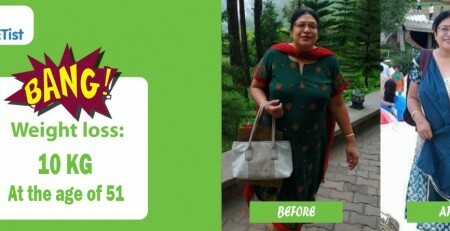 My personal dietician and I kept close monitoring the weight and the reduction in the inches. This kept me motivated as I could wear the clothes that I always wanted to wear and I started to gain my confidence back. I never felt like the diet which was provided to be was difficult. 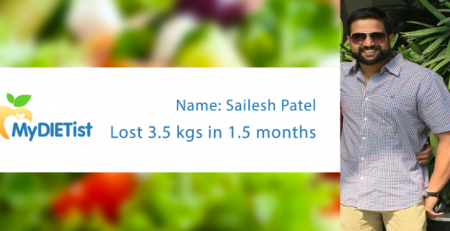 Perhaps, it was easy to follow the diet chart which was provided to me as it included tasty food as well. 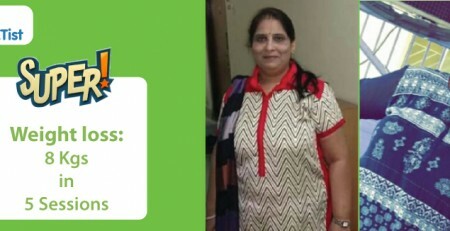 The Dietitians at mydietist.com also take care of your likes/dislikes before suggesting food pattern. 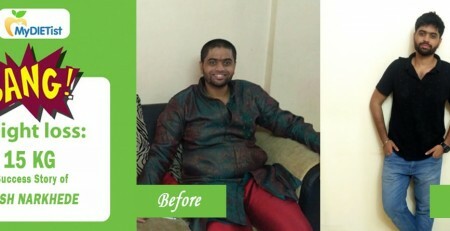 To summarize my whole journey and experience with MyDIETist I would like to say that I have not only lost weight with MyDIETist but I also learned to maintain a healthy lifestyle.